TABI LABO Co., Ltd. (Ikejiri, Tokyo; CEO: Shotaro Kushi) has launched an online travel guide optimized for smartphones (Japanese/multilingual) partnering with local governments. The online travel guide will launch on JAPAN LOCAL, a TABI LABO site. Regional tourism information has predominantly been available through pamphlets and magazines, distributed locally in various travel destinations throughout Japan. However, while carefully created in hopes of conveying the beauty of each locale, it has become difficult for them to reach the hands of travelers, who mainly rely on their smartphones to gather info. Consequently, many tourists end their travels without visiting or experiencing what the locals truly want to share with them. In an effort to assist such regions to convey the beauty of their locale and deliver information to travelers looking to visit the best destinations, TABI LABO created the JAPAN LOCAL online travel guide. Similar to how a friend might share with visiting friends about local spots that interest them, TABI LABO creates content that serves as local travel guides, presenting the magnificence of each region from a unique perspective. TABI LABO plans to make the travel guide available in many different languages, enabling tourists from Japan and around the globe to access the same information. 1. Content delivered from perspectives unique to TABI LABO, a web media company that introduces global movements, trends, lifestyles, and values to a Japanese audience. a. Inclusion of content differing from mainstream travel guides, delivered from an original point of view. b. Ability to introduce one travel destination from various perspectives such as food, accommodation, sightseeing, activities, and people. c. Content that not only informs but encourages active participation. 2. Ability to write buzz-worthy content for social media platforms. 3. An online “proposal-based guide” with a smooth, easily navigable interface and conveniently curated content. 4. Creation of a travel guide that allows locals to rediscover the beauty of their hometowns. 5. Comprehensive service encompassing planning, production, and distribution, while working side-by-side with regional locals. 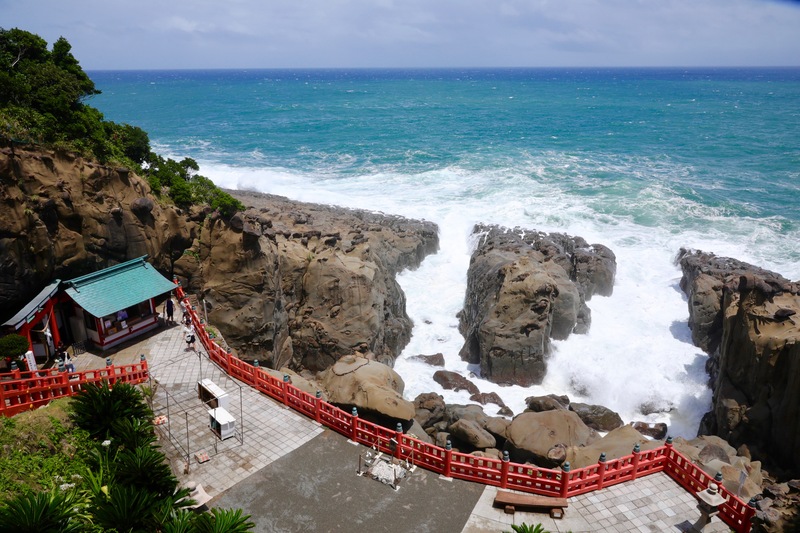 As an active proponent of regional revitalization, Nichinan city has shared the charm of its city through numerous creative marketing strategies. To cater to domestic tourists and inbound travelers, the city has promoted itself online, on social media, and through smartphones and hands-on activities. The collaboration between Nichinan city and TABI LABO succeeds due to the matching of TABI LABO’s vision and the needs of Nichinan City. TABI LABO’s goal is to continue offering this type of service to municipalities throughout Japan while contributing to the revitalization of local cities. Through these services, the hope is that regional residents of Japan will fall in love with their home country all over again. JAPAN LOCAL (URL: https://japanlocal.tabi-labo.com/en/) was created under the concept of showcasing hidden treasures in regions throughout Japan. It’s a media project that encourages audiences to rediscover the beauty of Japan. Our goal is to deliver information about Japan’s 47 prefectures through a unique perspective and compel users to visit, talk about, and ultimately nurture a fondness for the many possible destinations. We also offer accurate input and advice to regions in need of greater media presence and representation. As a web media company that continues to deliver content about global trends, lifestyles, and values, we can appeal to users from a perspective that is uniquely our own. Through our content, we hope to bring vitality back to local regions and have people fall in love with Japan all over again. This project is just one example of TABI LABO’s efforts to encourage regional revitalization.